HTML Compression tool is an online software application that reduces the size of HTML webpages by removing some information including the whitespace characters, blank space, text line from codes, and quotation marks. 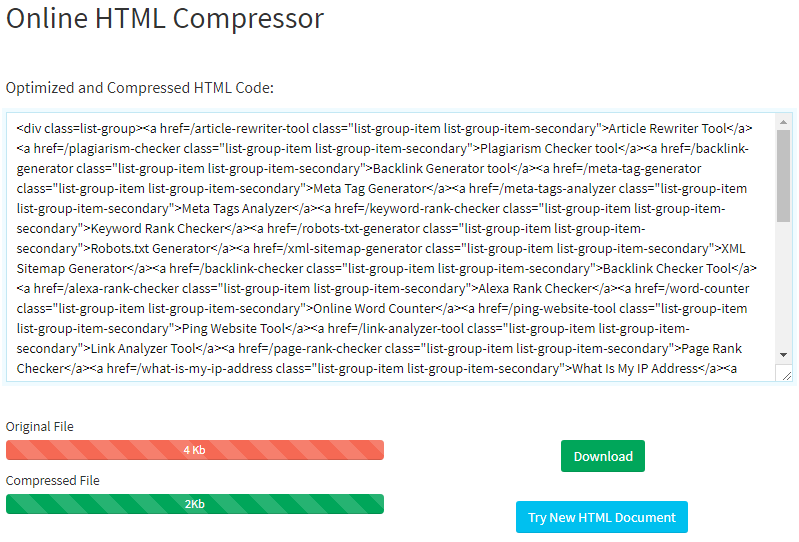 HTML Compression tool is mainly designed to help you compress HTML tags while running a website or any web service. It quickly analyzes your HTML codes with a detailed step by step to compress the code automatically. The application has a nicely designed interface that allows you to copy and paste the code with several inline documented options. Additionally, the tools convert your code by uploading a number of HTML files to our HTML compressor tool to save the time. There is a W3C validator that allows you to validate the code before and after compression with a single click. You can use the HTML compressor control commands to perform the client-side execution and allows the strip program to remove inessential information, debug variables or modify the variable contents. How to use html compression tool? Simply copy and paste the html codes on the tool, then type the captcha code and click the submit button. The output displays the compressed html code with less size. There are many online tools to compress all types of codes to reduce load or bandwidth on the server. 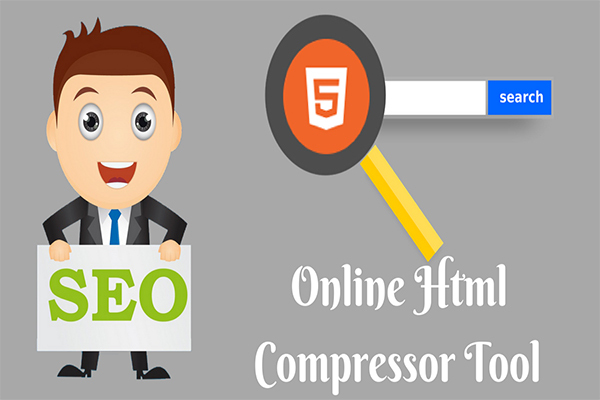 Having HTML compressor tool will save your money on the website that eats up your bandwidth. Based on W3C standards, it provides a safe and quick compression without affecting your system performance. The interface is nicely designed with features that can compress entire HTML page. It supports all types of browsers and can be used by any professional web designers.